Huawei has spent enough time in the international market for making network equipments. The company has made a breakthrough entry into the smartphone market with its independent smartphone brand called Honor. 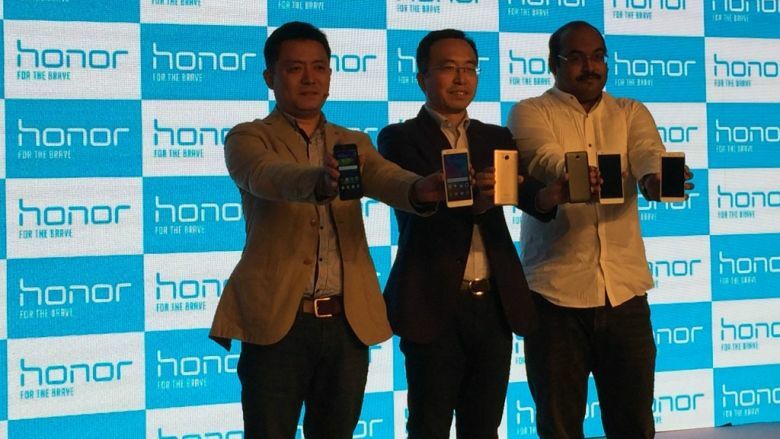 Honor made its entry in in October 2014 with Flipkart in India. The success of Honor products like Honor 4X, Honor 6 plus aside some other, has reinforced the company’s commitment. As the tagline goes Honor- For the brave, it was a pretty brave move to reach out and try selling the idea in such a mature smartphone market around the world, with fierce competition. Honor’s capability lies in its quality, ability to innovate and each of the products are a result of extensive research and development. Honor is looking at putting concerted efforts towards understanding the best and exclusive marketing model for each of its focus markets, so that it could best cater to the customers in these markets. Huawei is an old player in making network hardware and they know how to speed up the lives of their consumers and put the best networking equipment to make their devices future ready. As, we know the future will rely on the ability to handle speed. Honor is not just making rounds for their smartphones, the company also has great figures when it comes to sales and growth. In 2015 itself, Honor has achieved 100% growth in terms of sales revenue and 150% growth in terms of sales volume. In numbers, the sales volume was exceeded by 7,00,000 units. As a result, the company stepped up and started high speed development of products. It was able to increase the shipments up to 40 million throughout the year and the annual sales revenue was about 6 billion dollars. Honor hosted number of successful promotional festivals during 2015.Honor Global Shopping festival gathered more than 3.2 billion people from 18 countries and regions from around the world including, Asia , Europe and America. Honor brand ranked first with a sales revenue of 1.123 billion yuan in the Mobile phone category of T-Mall, whiles sales revenue for overseas market was 100 million yuan. During the French “Black Friday” Shopping Festival in November 2015, Honor 7 was ranked the first on 7 e-commerce platforms in France, with the highest number of sales. Honor has 40% market share in Netherlands. At present, Honor has successfully entered into 74 countries and regions includig India, Russia, Malasiya in middle east and Germany, France,UK, Netherland, Mexico and more in Europe and America. According to Ipsos research from January 2016, Honor has up to 75% of brand awareness in Chinese market, with customer satisfaction up to 91% which is higher than Apple’s 87%. Honor has always looked upon India as their primary market after China, last year Honor has set up a Global Network Operations Centre (GNOC) in Bangalore, first GNOC outside of China, which is functional in providing various facilities, technologies, applications, and resources for global managed services. Honor achieved a sales volume of more than 700,000. It achieved over 100% YOY growth in terms of 2014 for sales revenue. To reach more users, put a life to the brand and make it more familiar to its customers Honor also announced the launch of their http://www.hihonor.in an online platform along with official Facebook and Twitter accounts for consumers to get a first-hand understanding of Honor smartphones and also share their brave stories. Honor also realized 5 times increase in the sales volume on Flipkart. Honor’s brand awareness is 46% in India. Honor covered entire India with its online presence and focused on South Indian states like Karnataka, Kerala, Tamil Nadu, Pondicherry, and Delhi NCR in North India. It is a brand for users who have grown up in the Internet era and take positive attitudes towards life and is hence a brand ‘for the brave’. It is clearly aimed at a specific customer whom the company calls digital natives. Honor has been focused on delivering top-end specs in an affordable handset, ideal for the student and young worker crowds. According to Honor, India has a huge youth centric market with around 3000 college goers and Honor utilizes the open and passionate approach of the young ones. It aims to maintain a constant communication through online and offline channels. This helps them to get closer to their customers, get their feedbacks, improve and optimize products, and work on their service with time. Honor invites the fans through the club.Hihonor forum to communicate with each other and meet more people. At Honor’s Beta Test Research Institute at Bangalore, the company recruits fans to give their inputs and improve their products over time. Honor also believes in Offline communication with the fans and customers, so it is building a Bangalore city club, which will later be expanded to Mumbai, Chennai, Delhi and some more cities. It also organizes monthly face to face meet ups, workshops and more for the active fans to participate and build a better relationship.